Obsolescence management in PLM tracks the natural or artificial obsolescence of parts or materials in product. It is critical to know how such elements as mean time between failure (MTBF) or other product data points will affect the manufacture or maintenance of a product. Technological obsolescence: Advances in connected software make the part obsolete, or competing products are clearly superior. In practice, product obsolescence management can be as simple as knowing when to respond regarding MTBF for the ball bearings in a rotor, to as complex as tracking the required replacement schedule for a jet engine subassembly. All manufacturers need some capability to track and report product obsolescence issues, but in some industries the need is greater, as in capital asset manufacturing (factory machine, power plant equipment, etc. ), aerospace & defense, automotive, and other industries selling complex and expensive equipment. Razorleaf understands the specific obsolescence issues regarding your industry, and can work with your team to find the right products and workflows that will integrate knowledge about end-of-life or replacement into your product development system. One issue that shows the value of product obsolescence in PLM is when a supply chain vendor discovers a problem in a part you use. Perhaps it is found to have a critical flaw, or needs recall because of a hazardous material. For whatever reason, having the ability to connect news to product streamlines the process of solving the issue. 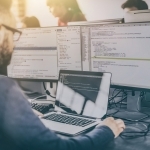 As manufactured items become connected to the Internet, and real-time data becomes available regarding product performance, product obsolescence will take on a new role. Manufacturer and consumer relationships change when machines go online as part of the Internet of Things (IoT). The information once used to predict and plan for updates and replacements will become part of a new scheme, by which manufacturers move from selling products to selling outcomes. For some companies, that day is already here. It is possible for construction companies to “buy” how much earth is moved in a civil engineering project instead of buying the earth moving equipment. The manufacturer keeps ownership of the equipment but provides it so the service of moving earth is accomplished. Payment is based on measurable outcomes, not on the price of each piece of equipment. The equipment is Internet-enabled, with reports from all assemblies streaming in. Unusual stresses can be detected, and MTBF events predicted with a higher degree of certainty. Every company considering a transition to IoT products need to have robust product obsolescence technology in place first. The more the manufacturer knows the ins-and-outs of working with the dimensions of time, wear, and productivity, the easier it will be to transition to working with real-time IoT data feeds. Downstream management: Enterprise software systems depending on accurate information from PLM (such a supply chain management or manufacturing resource planning) will be less effective. Apply a lifecycle mentality to the use of PLM: PLM software supports products from conception to recycle with a eye to continuous improvement. Management should apply the same philosophy of continuous improvement to the PLM software itself. Stick with the standards: New technologies start as proprietary, but nothing stays proprietary for long these days. Make sure new builds on old in a repeatable way, to allow continuous improvement. Justify costs against the future as well as the past. Skipping a maintenance release or a significant hardware upgrade will save money in the short run. But it usually is a case of borrowing from the future to pay for the present. Obsolescence hides in the shadows of avoidance. By using Razorleaf as your trusted PLM integration partner, you always have a vendor-agnostic industry insider in your corner. 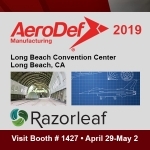 Rely on Razorleaf’s deep PLM expertise to keep your company proactive and competitive.